ASGA presenters are among the nation’s premier Student Government experts. Please see the conference schedule for the New Orleans line-up of speakers. All speakers are former Student Government officers and/or advisors. They’re specialists in SG issues, problems, and trends. • They bring significant experience and knowledge about SG and student affairs. • They regularly consult with and train SGs. • They’re skilled presenters, injecting humor and passion into their workshops. • They engage students and advisors through interactive presentations. Click on each speaker’s profile to see a biography, social media links, videos, and photos. Want to be an ASGA Speaker? Click here. I’m ASGA’s strategist. I like to help participants think about the big picture and how to make it personal and actionable. I also like to develop the higher-order skills and questions within SG, and help them answer the “why” of it all. In your roles in and out of SG, you’ll be challenged to think differently about delegation, communication, structure, and your purpose in SG. I use humor and get folks talking. I use PowerPoint, visuals, case studies, role play, and participant dialogue and interaction to make the concepts relevant to your campus and your style. I’m ASGA’s mirror. What does a mirror do? Nothing, unless you stand in front of it. That’s what we do in my sessions. Student leaders often spend so much time focusing on serving others that you lose sight of yourself. You can nearly really maximize your potential as a leader until you first lead yourself. I use a very interactive style. No boring lectures. No “preachy” messages. I present through self-reflective exercises. There’s a lot of dialogue, a little shake of Powerpoint, and a dash of one or two video clips. We shed the “I got it together façade. Think morning talk show host meets psychiatrist. You’ll laugh, you may cry, you’ll probably hurt, but in the end you will feel relief. You’ll experience a wild range of emotions but leave stronger and wiser. I’m ASGA’s image expert. My workshops focus on improving your Student Government’s image on and off campus. We primarily focus on simple, easy, mostly free tools that you can implement right away. We also spend time digging into a variety of leadership best practices. My goal for every session is to provide as many pragmatic, actionable ideas that can make an immediate observable difference on your campus and in your quest to develop your leadership skills and personal brand. I’m ASGA’s TEAM and capacity building specialist. My workshops focus on how to improve the foundation of your SGA team and increase the opportunity to grow, particularly as it relates to meetings. My passion for Student Government comes from the need to see students grow. My style is engaging and experiential at all times, incorporating the work of Emotional Intelligence in the cornerstone of all my workshops. I can help you with questions regarding your student government training, conflict resolution, or working effectively with your administration. I have been a two term SGA President, SGA Adviser, and now a trainer helping SGA’s all around the country. I’m ASGA’s rules and procedures specialist. My workshops focus on how to improve documents and process, particularly as it relates to meetings. My presentation style is conversational, I introduce topics and ask participants to consider the how and the why of what they do. My desire is for you to leave my workshop with tools and information that you can use immediately with your organization. I can help you with questions regarding parliamentary procedure as well as helping to improve the language of constitutions and bylaws. I like to learn from my audiences, while also sharing new ideas and best practices. I do use a lecture style, but with audience participation and questions are certainly encouraged. Quality content is very important, so I always ensure that students leave with great ideas and with the motivation to put them into practice on their campuses. I am ASGA’s Student Development expert and advisor to the Advisors. My workshops are specifically designed to be informative and engaging. With the use of interactive activities and visual aids, I provide topical information that will help students move to the next level in their leadership and assist Advisors in being purposeful and the best they can be in their role. I’m ASGA’s generalist. My workshops cover all aspects of Student Government. I’m a pragmatist. I focus on identifying your problems and then offering real solutions, not gimmicks. My workshops are mainly lecture style. I use fun, easy-to follow graphics. I do not read from PowerPoints. I also ask a lot of questions, ask for volunteers to help illustrate key points, and offer several interactive exercises. I am ASGA’s professor, so get ready to learn! My workshops cover two specific aspects of Student Government. First, I spend time working with you to consider what you are bringing to your student government experience. Second, I cover how to improve the organizational structure of your Student Government. I truly believe that in order for you to take away ideas to improve your student government you need to spend time considering how to connect the workshop topics to your own experiences. My workshop style is discussion-based, which means you will interact and share your thoughts and ideas with others around you. I use PowerPoint to present visual images of discussion topics, and worksheets so that you can record your “ah ha” moments in order to take them back to your student government. I am ASGA’s Truth Teller and efficiency expert. There’s a difference between truth and honesty. Honesty is answering a question, and only the question (sometimes doing so in a way that paints us, or our SG, in the best light). Truth is candid, answers the totality of the question and is unfiltered. Whether in confrontations, or evaluating our progress towards achieving goals, it is imperative that you #KnowYourTruth. My style is engaging, infused with humor and recognizes that we are all on a journey to learn from one another in the space. I can help your SG manage through the conflicts to be able to serve the student body you represent, find new ways to connect with your advisor (and vice versa), and discuss ways to be intentional about creating change on your campus. My sessions are riddled with “nuggets” of wisdom about integrating research into your plans, equipping you to work with your university’s administration, and creative suggestions to help increase efficiency and ensure transition plans allow for sustainable success. Dr. Anthony currently serves as the Vice President of Student Affairs and Enrollment Management at Rochester Community and Technical College. He is the founder and owner of Anthony Creative Solutions, LLC, a diversity and leadership development consulting company. Dr. Anthony earned his Ph.D. in Educational Leadership and Organizational Development from the University of Louisville, where he also worked for 10 years in various functional areas. While at the University of Louisville, he also led the state association for student affairs professionals, and has been involved nationally within the student affairs profession since then. His extensive SGA experience as a Senator, Student Body Treasurer, Student Senate President/Executive Vice President of the SGA, and finally Student Body President and University Trustee at North Carolina State University led him to seek a career in higher education. Dr. Anthony has taught at both two and four year schools, led hundreds of workshops to thousands of students and practitioners on a range of topics, including African American student success, leadership development, diversity and inclusion, assertive communication, team development, program management, and creating and managing change within the environment. He currently has an adjunct faculty appointment at both Loyola University Chicago and the University of Louisville. Dr. Anthony lives in Chicago, IL with his daughter Katharine Elizabeth. Attorney Rasheed-Ali Cromwell has been involved extensively in leadership throughout his academic and professional career. Mr. Cromwell graduated from North Carolina Agricultural and Technical State University with a Bachelor’s Degree in Chemical Engineering, and was honored with the University’s Excellence in Leadership Award for his progressive efforts and extensive work in Student Government. He had the distinct honor to serve as Student Government President and Vice-Basileus of the Mu Psi Chapter of Omega Psi Phi Fraternity, Inc.
Mr. Cromwell continued his leadership efforts in law school serving as Class President, Associate Editor of the Law Review, and was honored, by his peers, as Thurgood Marshall 3L Student of the Year for his scholastic and leadership contributions to the University. He later graduated, with honors, with a Juris Doctorate from Texas Southern University. After graduation, Mr. Cromwell served as a federal law clerk in U.S. Federal District Court in the Southern District of Texas (Houston Division) and worked as an associate at a prominent intellectual property law firm in Washington, D.C. 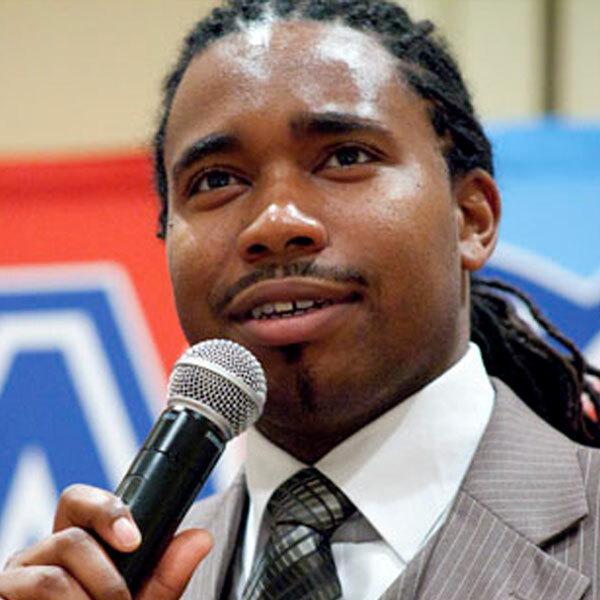 He later founded The Harbor Institute, a company based out of Washington D.C that empowers minority students to excel which he currently serves as CEO. In addition to his leadership efforts, Mr. Cromwell has also thoroughly studied National Pan-Hellenic fraternities and sororities for the past ten years. He is currently completing his book Endangered Species: The Plight of African-American Fraternities and Sororities. His extensive legal training and academic expertise about Pan-Hellenic fraternities and sororities makes him well versed in legal issues regarding hazing in Greek fraternities and sororities and one of Harbor’s most sought after speakers, consultants, and trainers. 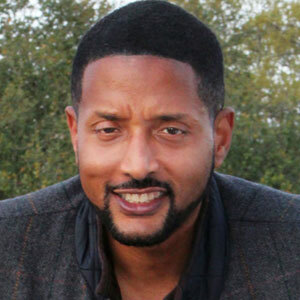 Currently, he is a graduate member of the Kappa Psi Chapter of Omega Psi Phi Fraternity, Inc. in Washington, D.C.
Sam Gordon, former Student Body President of the University of Southern California, currently serves as the Brand Manager at Tandem Capital, a seed fund that invests in early level start-ups. Previously, Sam’s experience includes co-founding Brydge LLC, serving as the Regional Field Director for the Rudy Giuliani Presidential Campaign, and time in New York working in corporate communication and public relations. Sam continues to study the art and adventure of leadership with an emphasis on the role that good communication plays in effective leadership. More than anything else, his experience in Student Government prepared him to take on challenges in the political and corporate worlds. He aims to encourage current SG members to look critically at their leadership style, improve their communication methods and above all else, Go Big. You can reach Sam at gordon.sam@gmail.com. Chris is a native of Paterson, New Jersey. A former two-term SGA President at Ramapo College of New Jersey, Chris holds a BA in Political Science from Ramapo. In May of 2006, Chris received his Masters of Arts Degree in Public Policy and International Affairs from William Paterson University in Wayne, NJ. 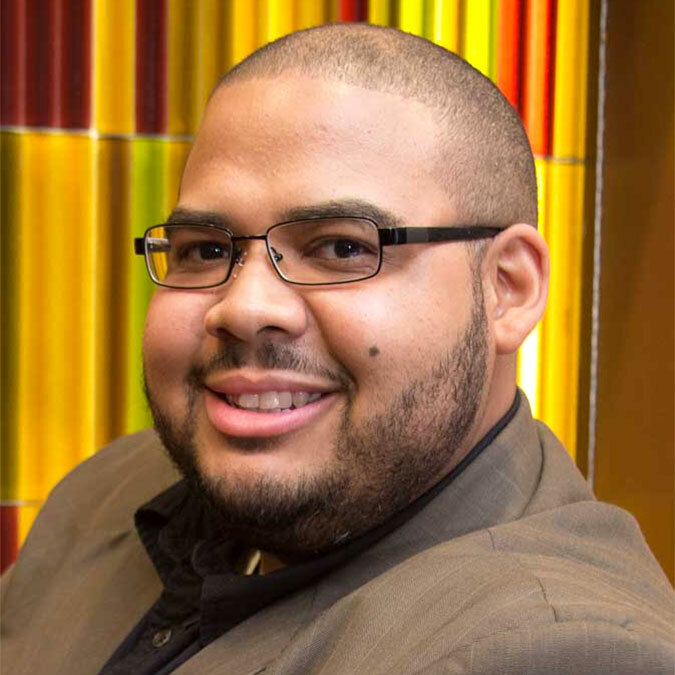 Currently, Chris is a Doctoral Student and Adjunct Professor at Seton Hall University and Westchester Count College. His first involvement in Student Government came when Chris served two terms as an President in college at Ramapo College of New Jersey. As President, he realized that it was the capacity of his team that helped to make the SGA on campus such a powerful force. Chris’ interest in team and capacity building comes from his experience in SGA and his work as a local elected official in his home town of Paterson, NJ. Currently, Chris is serving in his second term as a member of the Board of Education in his home town. These experiences has taught Chris how important it is to have a great team that values each other’s experiences. Professionally, Chris serves as Executive Director & CEO of the Ceceilyn Miller Institute for Leadership and Diversity in America. (CMI) is one of America’s most innovative leadership and diversity training non-profit organizations. Dedicated to the cause of social justice and leadership development, CMI programs empower participants to function more effectively as people and communities. Chris is a native of Pennsylvania, having been born and raised in Shavertown, PA. He attended Millersville University of Pennsylvania, receiving a B.S. degree in communications. In 1986, he accepted an assistantship in the student activities office at Shippensburg University of Pennsylvania where he subsequently received a Master’s degree in counseling/college student personnel services. His first involvement in Student Government came when Chris served two terms as an off-campus senator in college, which was most-surprising since someone had nominated him without his knowledge! As a graduate student, he worked closely with an incorporated Student Association who allocated funds to all student groups in addition to operating the university bookstore. His initial interest in parliamentary procedure was borne from necessity when he was asked to present on the topic for a newly created Student Government at Worcester Polytechnic Institute in Worcester, MA. Since that time, Chris has become even more interested in parliamentary procedure and is working toward certification through the American Institute of Parliamentarians. He has been involved in drafting bylaws, budgetary processes, and other governing documents throughout his professional career. Professionally, Chris has served as the assistant dean of students/director of student activities at Worcester Polytechnic Institute, ss the director of student activities and the student center at Salve Regina University (Newport, RI), dean of student affairs at York Technical Institute, and now is director of student leadership at Muhlenberg College. He has been involved in the National Association for Student Activities, as well as the Association of College Unions International. He is a member of the Phi Kappa Phi National Honor Society and the American Institute of Parliamentarians. 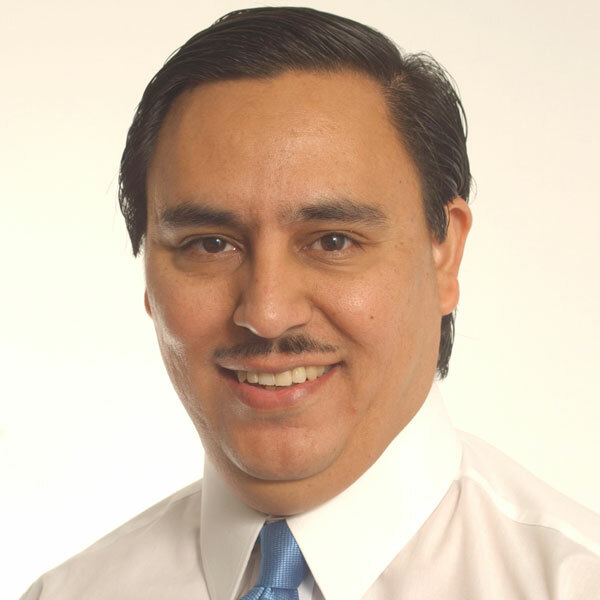 Andrew Ortiz holds three degrees from Arizona State University (ASU), including a Bachelor of Arts in Political Science (1992), a Juris Doctorate of Law (1998) and a Masters in Public Administration (1999). 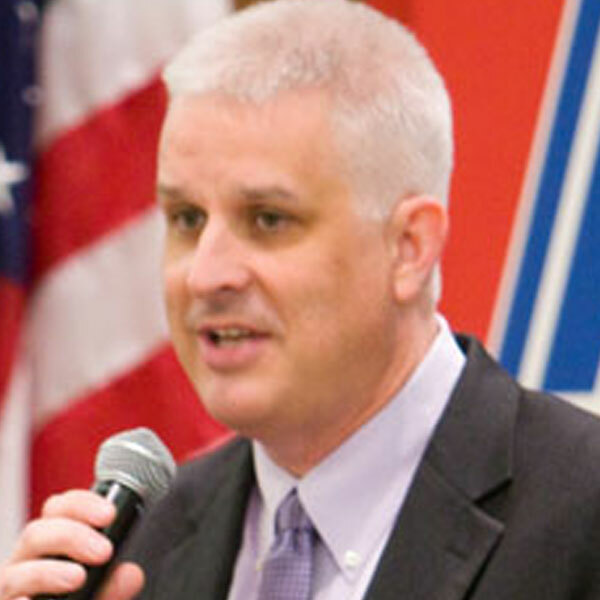 Andrew was active in student government at Arizona State University, where he served as a Senator from the College of Law in 95-96, as Graduate Student Affairs Vice President in 96-97, and as Student Body President of the nation’s 4th largest university in 97-98. While at Arizona State University, Andrew Ortiz enjoyed great success as a leader and as a scholar. Ortiz served as the Vice President of Operations with the ASU Hispanic Business Students Association, Vice President for Community Affairs with the ASU Chapter of the Movimiento Estudiantil Chicano de Aztlan (M.E.Ch.A.) and as President of the ASU Young Democrats. For his work on social justice issues, Ortiz received the 1995 Community Service Award from the Martin Luther King, Jr. Center for Nonviolent Social Change in Atlanta, and was bestowed with an Image Award from the National Association for the Advancement of Colored People (NAACP). Ortiz has also received the distinguished Northern Arizona University President’s Citation of Achievement. Ortiz was a member of the Student Admissions Relations Team (START) and the ASU Student Foundation, which are two prestigious student honoraries at Arizona State University. Andrew Ortiz was also one of two original founders of Omega Delta Phi Fraternity, Inc. at Arizona State University, which has been honored for its outstanding philanthropic services. Ortiz was one of the founding members of the Arizona State University Leadership Honorary, Students Towards Educational Progress (STEP), and also founded a youth mentorship program at ASU for Tempe Elementary School kids called the VISION (Volunteers In Service In Our Neighborhoods) Program. 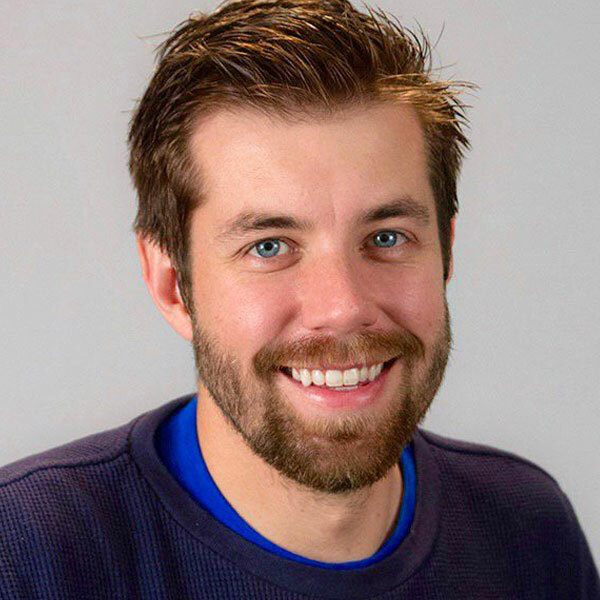 In 1997, Andrew was selected as Man of the Year by the American Biographical Institute, and was selected as one of the top twelve graduate student leaders in America by the National Association of Graduate and Professional Students. Ortiz was also inducted into Alpha Epsilon Lambda, a national Graduate Student Honor Society. Andrew Ortiz was a National Fellow with the Center for the Study of the Presidency and is a member of the Congressional Award Foundation Board of Directors in Washington, DC. Andrew is also the President & CEO of Ortiz Leadership Systems, LLC, a public speaking, leadership training and management consulting firm based in Tempe, Arizona. In 2004, Andrew was inducted into the Arizona State University College of Public Programs Hall of Fame. In 2005, Andrew was selected to receive the Arizona State University Young Alumni Achievement Award, was the “Volunteer of the Year” with the Valley of the Sun United Way, and was one of Association Trends Magazine’s “Young and Aspiring Association Professionals.” In 2008, Ortiz was selected as a recipient of the U.S. Jaycees Ten Outstanding Young Americans Award. 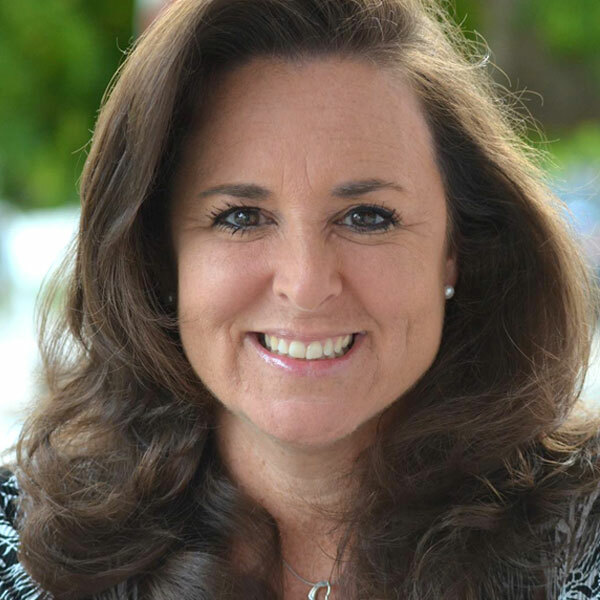 Dr. Vicky has more than 25 years of professional Student Affairs experience at George Mason University, The College of New Jersey, Georgetown University, Florida International University, and Miami-Dade College. She has experience in working with student governments, new student orientation, student activities, leadership development, global education, and university housing. She also serves as an adjunct faculty member teaching undergraduate courses in college success and women’s studies. 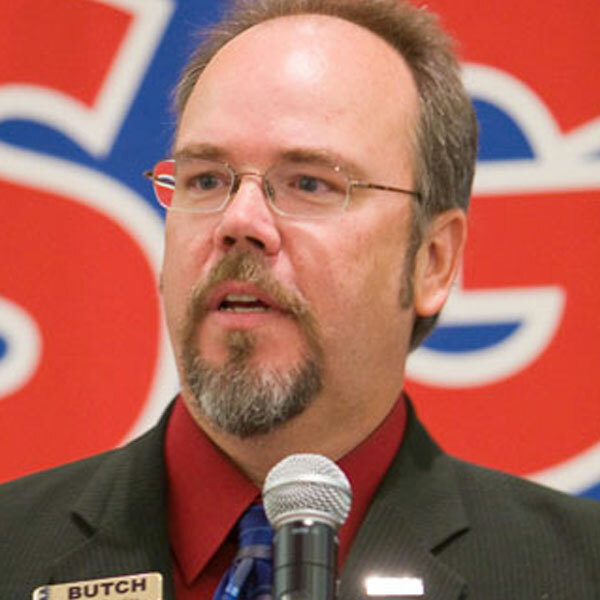 Butch was SGA vice president and editor-in-chief of the college newspaper (serving at the same time) at Lake City Community College, then served as SG press secretary and editor of The Campus Leader at the University of Florida. Named in 1992 as one of the nation’s top 100 entrepreneurs under age 30 by the Association for Collegiate Entrepreneurs, Butch has been publishing student-oriented magazines, books, and web sites for nearly 30 years. He studied journalism at the University of Florida, but left school in 1984 to work full-time on his first magazine, Florida Leader. He later launched four other publications, including the national magazine Student Leader. He travels frequently to speak and present leadership seminars and has written three books on student-leadership issues, including So You Want to Be President…How to Get Elected on Your Campus, Poster Secrets: How & Where to Hang Flyers on Your Campus, and Inspiration for Student Leaders. Butch is married to Kathy, and they have a daughter, Leah, son Will, twins Adam and Andrew, and son Luke. Butch enjoys being a Trekker, loves Firefly, working outdoors, serving his God and church, wrestling with the young-‘uns, and cheering for the Florida Gators and Tampa Bay Rays. 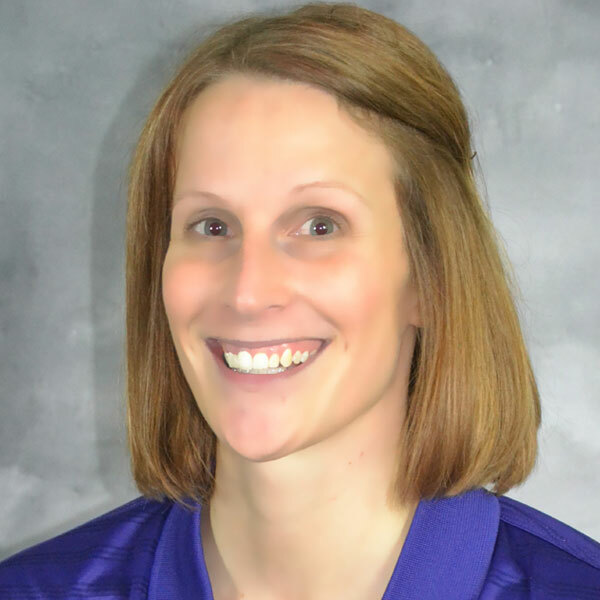 Sarah is an independent consultant located in Macomb, IL. Prior to Sarah becoming a consultant she worked in a variety of positions within student affairs at Longwood University, the University of Maryland-College Park, the University of Dayton, and Western Illinois University. Throughout all of that time, she held responsibilities including advising the Student Government, advising Fraternity and Sorority Life, student organization student discipline/conduct issues, student leadership development programming, new student orientation, and student organization risk management and training. Sarah continues to work with student organizations, and those who work with them, through advising, speaking, and consulting. Originally from Des Moines, Iowa, Sarah received her Bachelor of Science from Texas Christian University (TCU), Fort Worth, TX. She received her Master of Science degree from Miami University, Oxford, OH. Finally, Sarah received her Doctorate of Philosophy from the University of Maryland, College Park, in Counseling and Personnel Services. Sarah is involved in ACPA—College Student Educators International, NASPA—Student Affairs Administrators in Higher Education, and the Harbor Institute. She is a 2014 recipient of the Annuit Coeptis Award from ACPA. In addition to her professional work in Student Affairs, Sarah is a member of Pi Beta Phi fraternity and Mortar Board Honor Society. Suzette’s life has been guided by her intense passion for helping others realize their potential–to know their truth. She focuses on research-based content and practical application that will actually give students what they need to be strong leaders on and off campus. She believes in the power of servant leadership and student government’s ability affect change on campus. With more than 15 years of experience advising and supporting student governments, she focuses on being goal-oriented, navigating through the conflict and engaging partners, allies and champions to ensure all students on campus are well-served by the student government. From auditing processes to addressing where SG’s fall short as an organization, Suzette infuses passion into every area of her work. Suzette isn’t a speaker that will sugarcoat heavy issues, instead she takes a direct, truthful approach. Suzette resides in Parker, CO with her husband and their fur-son, Spot the dog. She is a doctoral candidate in the Education Administration and Foundations at Illinois State University, studying the factors that contribute to the development of culture in student groups. Suzette holds a Bachelor of Arts degree in Political Science with minors in English and Communication from Mercer University, and a Masters of Education in College Student Personnel Administration with an emphasis in Higher Education Administration from the University of South Carolina. 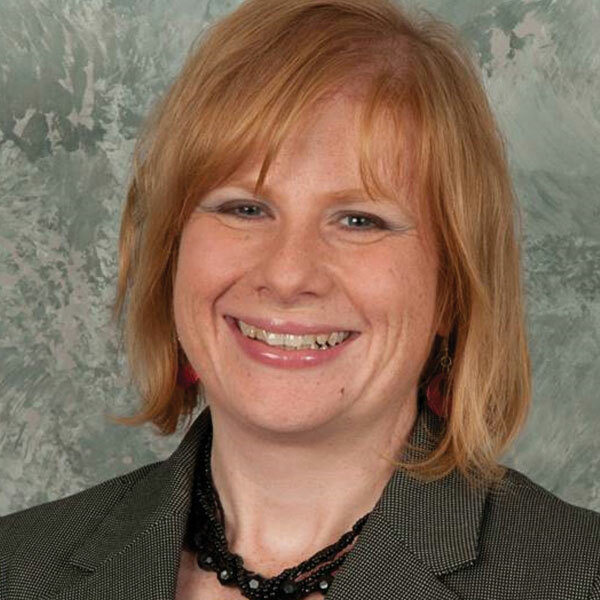 Prior transitioning to this new role, Suzette worked for ten years at Illinois State University in Normal, IL, as the Director of Student Conduct and Conflict Resolution. In 2013, Suzette won the Association for Student Conduct Administration’s Student Conduct Professional of the Year Award. She served on the Board of Directors for the Association for Student Conduct Administration (ASCA) and is an avid volunteer with the Association for Fraternity/Sorority Advisors.